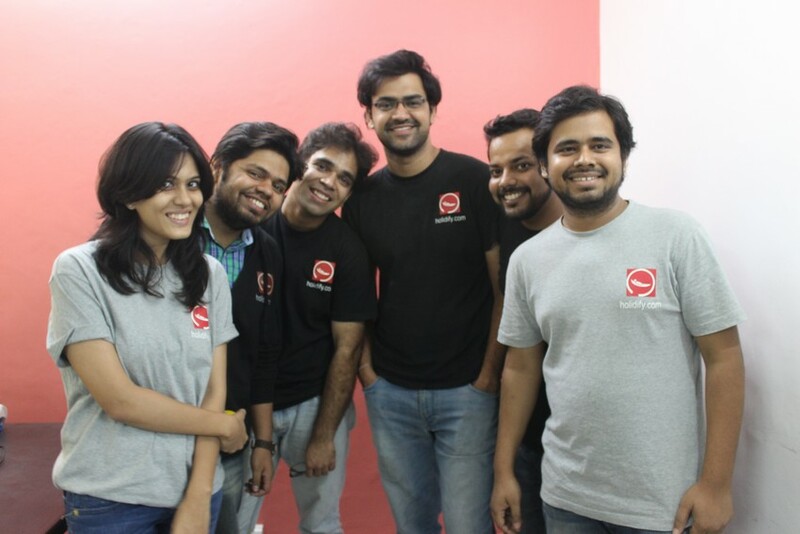 How IIT Mumbai graduates cruised ‘Holidify’ exceptionally across the travel industry? The Delhi-based startup ‘Holidify’ is an inclusive travel guide. Things to do, where to eat, where to stay, best time to visit and how to reach are the information, the portal provides to users. The travel guide for destination portal was launched in November 2013 by Kovid Kapoor, Rohit Shroff and Prateek Chauhan with an objective to offer an extensive range of preferences to travellers. It offers choices to local rovers who want to visit unknown and distant hove places from the first step of trip arrangement. Why we chose Holidify as Startup of the Week? It solves a very basic problem of destination discovery. It is serving over 1000 travel options. Holidify’s app, has over 10,000 downloads, while its website www.holidify.com receives around 500,000 monthly visitors. Holidify has a huge 35,378 fan following on Facebook and 3,857 followers on Twitter. Instagram witness more than 1,392 followers. It is using organic methods of marketing, including social media and content marketing. With more than 1.10 million unique visitors a month, and has 39.32 K pageviews per day. The platform has 5,00,000 users. During days of their college at IIT Mumbai, Kovid Kapoor, Rohit Shroff, and Prateek Chauhan were always on the search for weekend holiday destinations. Their friends also explored for slight famous places to visit. They shortly tired all the travel choices offered online and recognized two limitations in the travel industry: First, the destination options accessible by most websites are limited and usually populist in nature, parting very slight choices. In that state, travelers have lesser freedom in selecting a destination,” Rohit found. Aware of to these limitations, the trio graduated from IIT Mumbai had realized the core of the holiday planning problems and so was born ‘Holidify’. Holidify has raised $100 K in a seed round of funding led by the promoter family of publicly-listed specialty chemicals company Aarti Group. Holidify has business model of lead generation and it is impeccably integrated onto their website. Users get all kinds of information about possible destinations. When users see these preferences and if they plan to book something, they will be forwarded to their partner websites through which they will be making on ‘conversion’ basis. Holidify have already partnered with Expedia, Makemytrip, Yatra.com and other such OTAs (Online Travel Agents). Holidify would be considering only at the Indian market and will tie-up with offline and online travel agents so that it could also help users in implementing their scheduled tours. In the long term, The Company is working on expanding its destination database and will be intensifying it within the next couple of months. Holidify plans to reach one lakh active user base by the end of the year.